This super serum combines a 15 percent concentration of Vitamin C with Copper Tripeptide Growth Factors for enhanced anti-aging properties. This serum also contains powerful botanical antioxidants and safe skin lighteners. Safely and effectively treats hyperpigmentation. Recommended for all skin types except very dry and hyper-sensitive. In the morning, apply sparingly to clean skin, smoothing over face and neck. In some cases, a temporary tingling sensation may occur. Water/ Aqua/ Eau, Ascorbic Acid, Hyaluronic Acid, Pentylene Glycol, Urea, Glucose, Guanidine, Tripeptide-1, Arbutin, Polyporus Umbellatus (Mushroom) Extract, Calcium Pentothenate, Asiaticoside, Asiatic Acid, Zinc Sulfate, Glycerin, Phenoxyethanol. Amazing products, yes pricey, but worth it! but you get what you pay for I'm thinking more and more. This little ounce of perfection was first introduced to me through my esthesician and she was only using 4 drops on me after my chemical peel. Mix this in with alittle moisturizer and follow up with sunscreen in the a.m. only.It gives a slight sting if you're not used to powerful Vitamin C, but this is the real deal so you will get results. Pricey yes, but wonderful. I recently picked up a bottle of this at a local medically supervised spa clinic. It came highly recommended by patients. 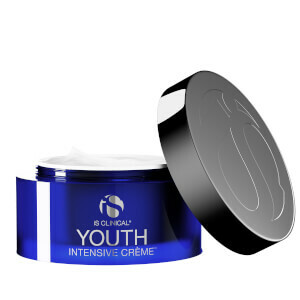 This is an advanced formulation that combines C and a stabilized Copper peptide to boost collagen. After a few days of use it further refined my pores and skin texture. I have a scar on my cheek from an early childhood encounter with our house cat. This stuff has already improved the texture of the scar! There are a lot of C serums out there, I think this one is better than skin ceuticals C+E Ferulic since it has the stabilized copper and feels more gentle on my skin.Since this is a serum and not a cream it doesn't spread out that well on the face..it absorbs very quickly. I believe the best method is put a few drops on the hands and dab it on.P.S. 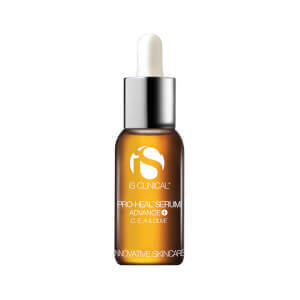 If you have Rosacea or dryer acne prone skin get the Pro Heal version of this serum. My Esthetician has Rosacea and she uses the Pro Heal version and her skin looks great with little to no make-up on. I am so glad to see IS Clinical products @ skinstore. I love the super serum, as it is from a research-based skincare company, and as an added benefit-doesn't have that funky smell associated with other vitamin C serums. Doesn't sting either. I do think it is a little on the expensive side, as are all topical C serums.